Do you really know how tight your hips are? You will find out in double pigeon, also known as firelog pose. 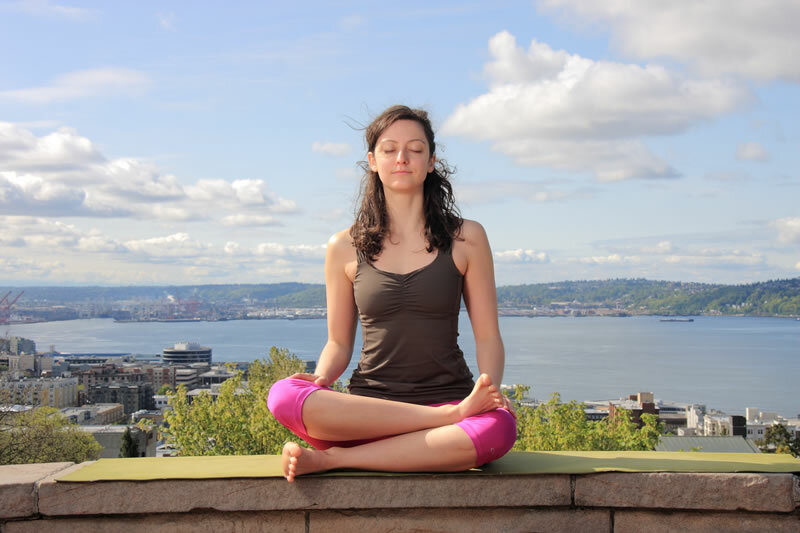 Effectively open your hips through meditating or holding between 5-10 breaths. Want a deeper position? Hinge from your hips forward into a fold position. Double your fun, by repeating on both sides. Pigeon is a traditional hip-opener that relieves tight hips and issues such as sciatica with the lengthening of the piriformis. One may find pigeon therapeutic and relaxing, and others may find it challenging if hips are tight. This variation enhances flexibility of the quadricep and shoulder of the back leg. Barre is an innovative workout that integrates yoga and Pilate movements to enhance strength, balance and stability. 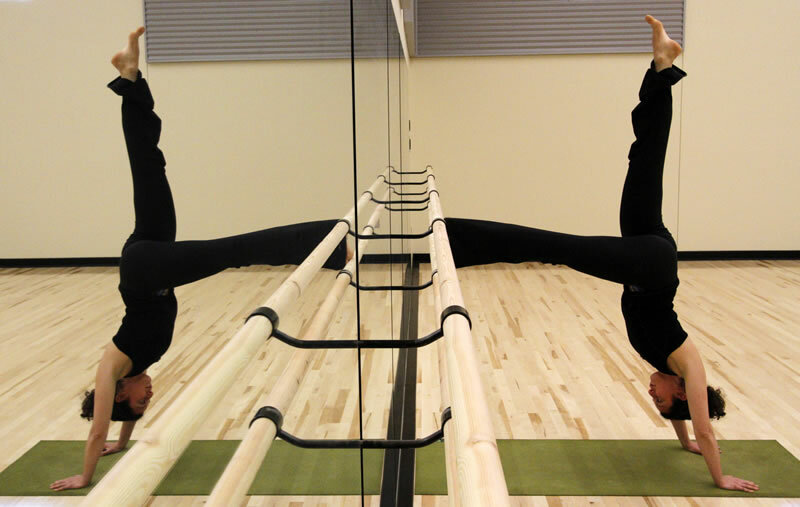 As a fun way to reflect in the mirror, the ballet bars are quit effective to play around with something different. Most barre exercises are completed with the feet on the ground, like a ballerina. However, if you want something different, hands on the ground works too! Feel open hips and hearts in a low lunge. It aids in balance and calms the mind as the breath fills the lungs, three dimensionally. This pose is perfect for athletes who continuously perform repetitive hip flexion in sports such as running, biking and hiking. When life turns upside down, embrace the challenge with downward facing dog. This vital pose enhances physical vigor, mental clarity and instills confidence. With so many variations, this pose maybe implemented in a therapeutic or strength-focused manner. As a mild inversion, downdog alleviates lower back pain and improves blood flow to our most vital organ, the brain. Staying balanced is essential is all areas of life. Create mental and physical stability in this high lunge all while lengthening hip flexors, abdominals, chest and shoulders. This pose tones the legs, as we balloon the breath into the lungs to enhance energy and decrease fatigue- meanwhile all standing on a paddle board. Sounds like a lot going on at once? Modern day living consumes our brains and bodies with stress and consistent multi-tasking. So de-stress your body, focus on one thought and paddle forward to a whole new life! Build a bridge between you and your health. Explore and experience the openness of the anterior body, and the strength of the posterior body. Do you have a SUP board? Want to personal or yoga train on it? I’m game if you are! This picture demonstrates various balance challenges. First, the release of a contact point off the board increases the balance challenge. Second, closing the eyes obviously decreases visibility and we are forced to proprioception, our sensory organs. Out of balance? Now is the time to regain your stability. The BOSU allows individuals to challenge their balance all while gaining core strength. Whether your hands, knees, hips or feet are on the BOSU, you will quickly notice improvement in balance and overall strength. Exercise progressions and regressions offered. In life we sometimes follow the wrong path, or lose sight and guidance to a healthy mind, body and spirit. Compass pose unlocks tight hips, lengthens hamstrings and opens stiff shoulders. Create your body into a tool of guidance to lead you to a life full of optimal health and happiness. Learn to grow a lotus and blossom your mind-body connection with a deep, rhythmic breath. Lotus relieves sciatica and lengthens the lower extremities. This traditional, contemplative position refreshes stressed individuals. Are you not fully blossomed for lotus? No worries. Start with a half-lotus to foster physical stability before forcing your petals to bloom too early.